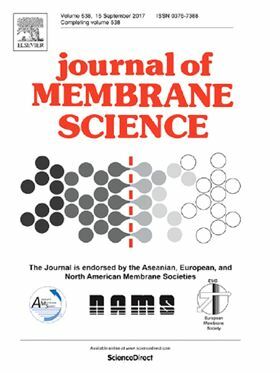 The research article 'Carbon nanotube arrays as multilayer transverse flow carbon nanotube membrane for efficient desalination' will be published in Elsevier's Journal of Membrane Science. Although single layer transverse flow carbon nanotube (CNT) membrane (TFCM) has been shown to be ultra-permeable with high salt rejection, its physical fabrication with sub-nanometre slits remains a significant challenge to its development. This work presents the multilayer TFCM, which resembles vertically aligned CNT arrays, as an alternative candidate for efficient desalination. Using molecular dynamics, this work shows that multilayer TFCM can provide permeability and salt rejection on par with its single layer counterpart. By multilayering, the slit size between neighbouring CNTs can be increased to nanometre range while still maintaining high salt rejection. The increase in slit size counteracts the reduction in permeability due to multilayering, thereby allowing multilayer TFCM to achieve permeability performance comparable to the single layer TFCM. The effects of the number of layers n and other design parameters (interlayer distance d, CNT diameter DCNT, offset h) on the desalination performance of multilayer TFCM are investigated thoroughly using results from non-equilibrium and equilibrium molecular dynamics. It was found that the desalination performance is not sensitive to variations in d,DCNT or h.
Finally, this work provides computational evidence that the multilayer TFCM, which could be fabricated using techniques for current dense vertically aligned CNT arrays, can make an efficient design for future low dimensional materials membrane.